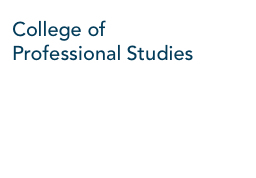 The College of Professional Studies serves as a hub of practical excellence by hosting an array of innovative schools and centers, which are designed to achieve successful, real-world results for organizations, individual communities and society at large. GSPM is the first and foremost school of applied politics, advocacy and communications. 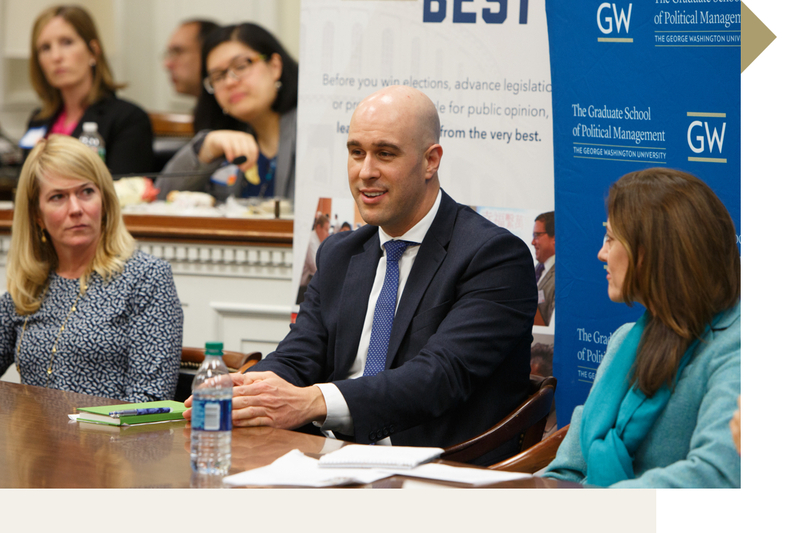 Providing students with a hands-on education for more than 25 years, GSPM teaches students how to deploy real-world strategies and tools to win elections, advance legislation, and prevail in the battle for public opinion in international, national, and local campaigns. GW-CEPL was founded in 1997 with a mission to develop public leaders who make a positive difference in their organizations and for the people they serve. 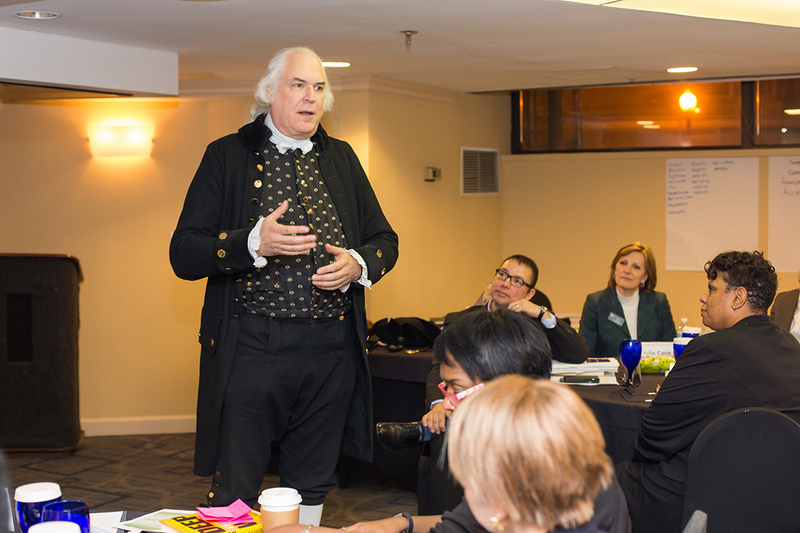 The Center achieves its mission by weaving together a combination of academic and practitioner resources to provide rigorous executive education training and coaching, grounded in the realities of public sector leadership and management. 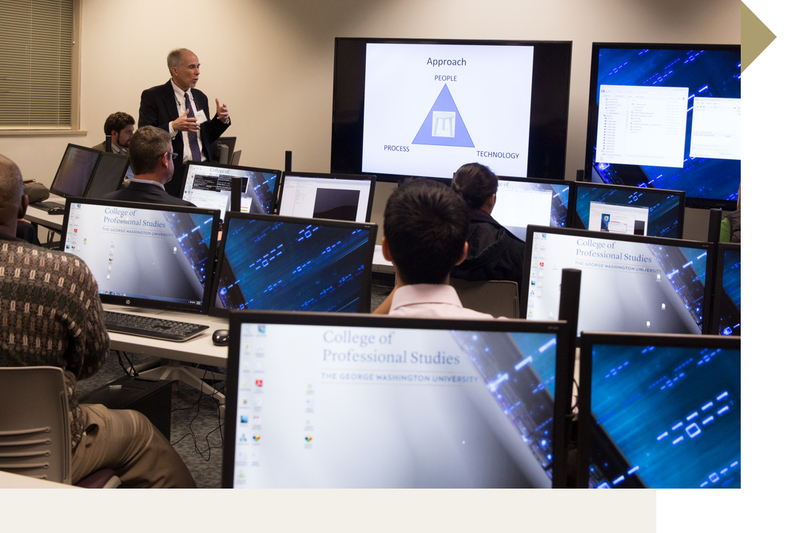 The College of Professional Studies’ Cyber Academy, in conjunction with GW’s Research Technology Services, conducts applied research and assists in the development, coordination and expansion of GW's cybersecurity degree programs. 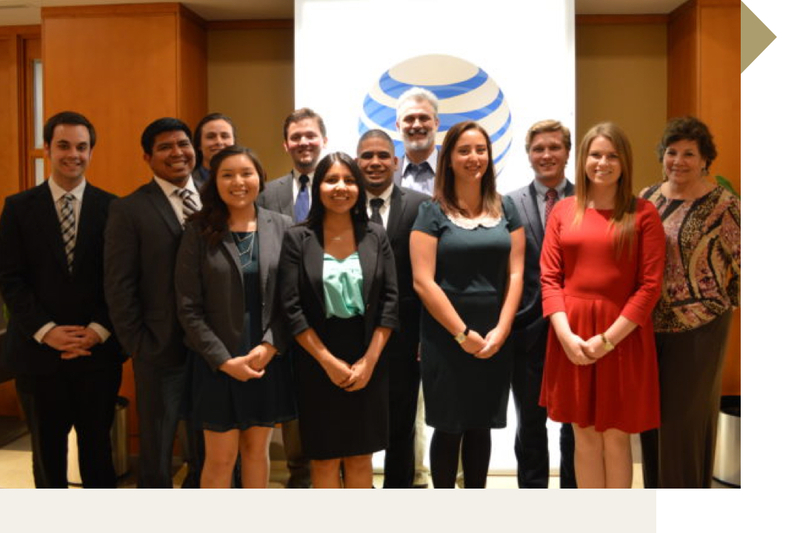 In addition, the Academy facilitates engagement with public and private partners in the fields of cybersecurity and infrastructure protection. The Cyber Academy envisions being a hub of cutting-edge research, educational programs and information exchange in the rapidly changing cyber arena. Through research, scholarship and service, CIPP supports tribal leaders and engages indigenous youth to promote public awareness and develop the political tools that will help them overcome challenges within their communities. CIPP analyzes a number of politically significant issues facing indigenous communities, including public health, adequate housing, economic security and education.